New Time Dimension Threat to our Kingdom! 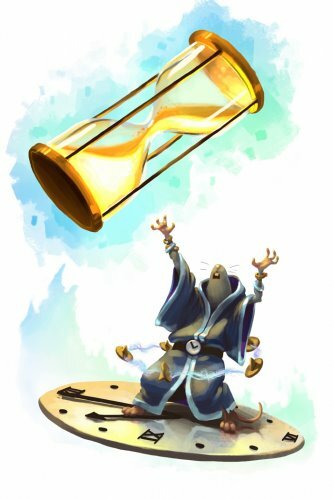 Well the King had announced that the new Chrono Mice had phased into the Acolyte Realm from another plane. These mice had been summoned to our dimension due to an excessive use of the Clockapult of Time! This mouse is merely a watcher of time, and to end the chaos this mouse might lead to for our kingdom’s time dimension; hunters pick up your strongest forgotten trap and start hunting them down! !